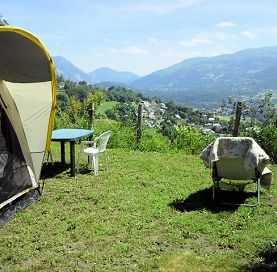 Dede and Sylvie are happy to welcome you to the website Campsite Les Châtaigniers which will hopefully suit your needs ! And who knows ? Maybe will you relax and meet us at the heart of the Hautes-Pyrénées (région Midi-Pyrénées), in the valley of Argeles-Gazost ! Discovery holidays, sports holidays, contemplative holidays, wellness holidays … Everything is on the agenda ! Thanks to its location at the crossroads of the valleys of Luz, Cauterets, Hautacam and Val d’Azun, stay at campsite Les Châtaigniers will allow you to hike in the National Park of Hautes Pyrenees, visiting natural sites: Pic du Midi, Lake Gaube, Gavarnie, Pont d’Espagne, Col du Tourmalet, and other famous roads of Tour de France, discovering typical villages or practicing numerous sports activities … or indulge in relaxation and care of the spa ! Visit our page Leisure and Nature to give you an overview of all the activities around Argelès-Gazost. 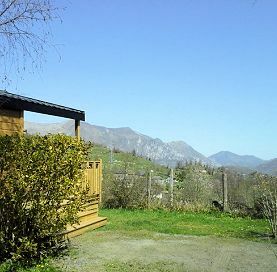 At Campsite Les Châtaigniers you enjoy ours very large pitches (120m2 to 250m2 !! ), Free WIFI, the swimming pool, our friendly welcome, the panorama, the quiet, the cleanliness and we will share with you our passion to discover the valley of Argeles Gazost ! To keep you informed of the news of campsite Les Châtaigniers and the valley of Argelès Gazost. To advise on your stay and consult the others opinions we invite you to join us on our Trip Advisor, Facebook page or Google.